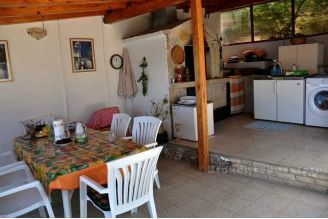 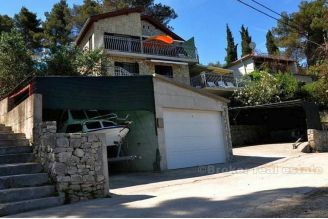 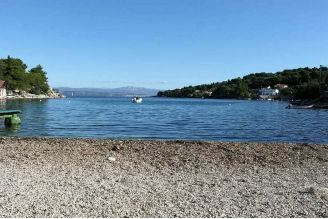 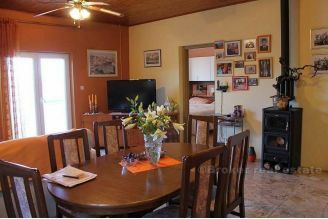 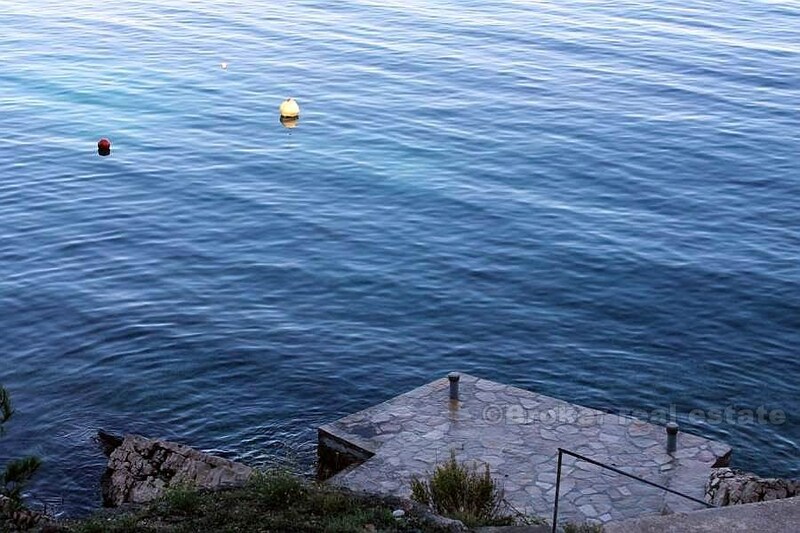 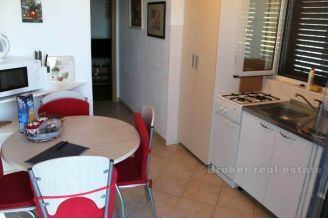 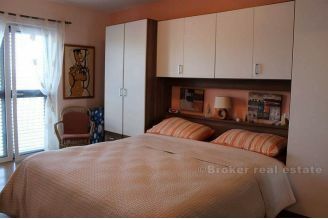 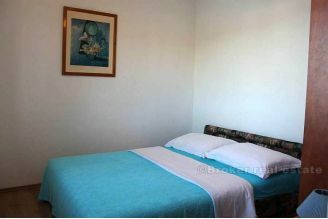 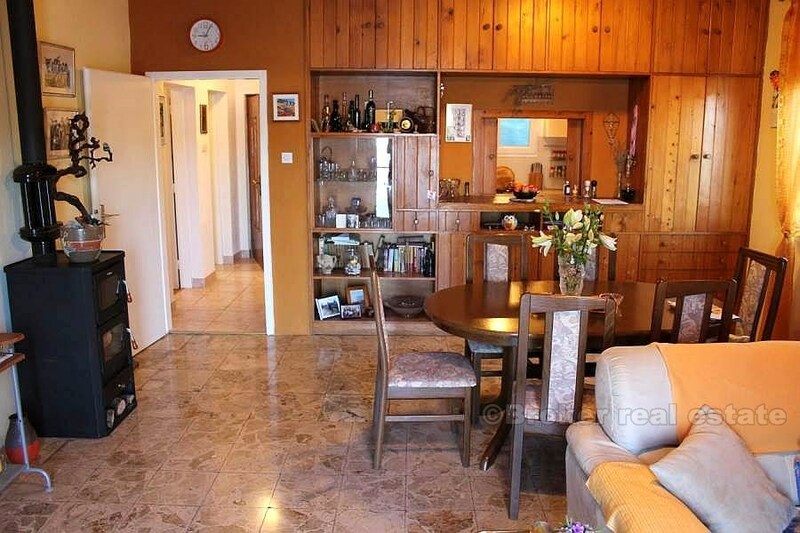 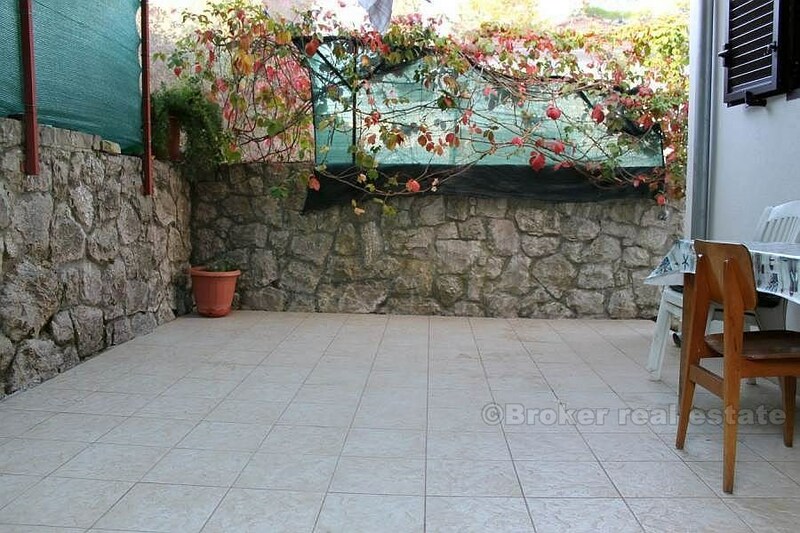 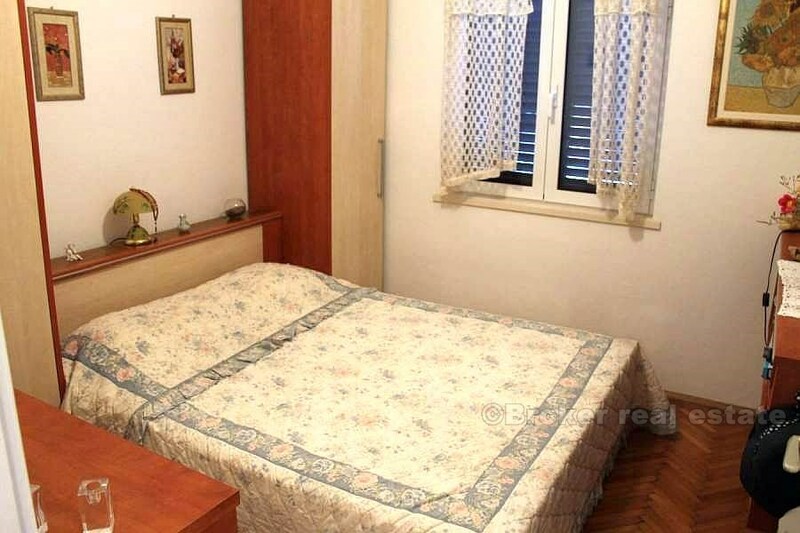 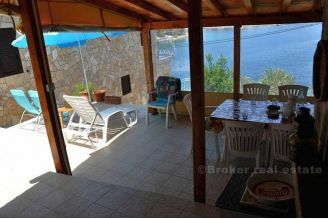 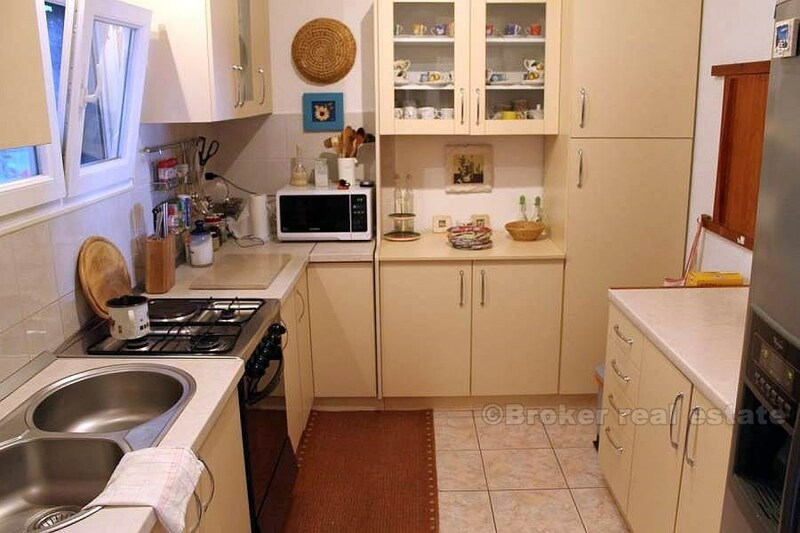 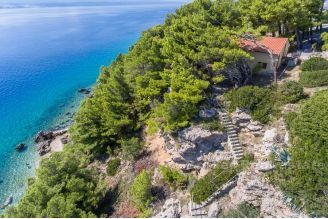 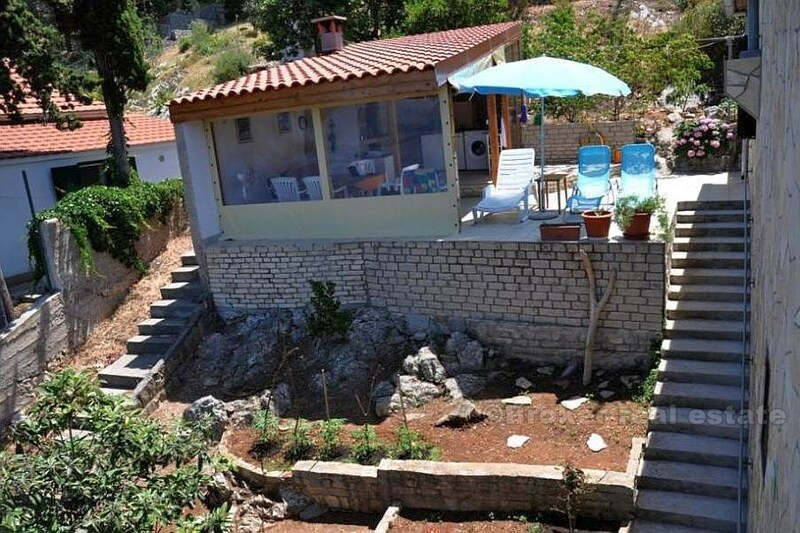 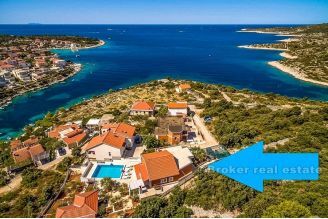 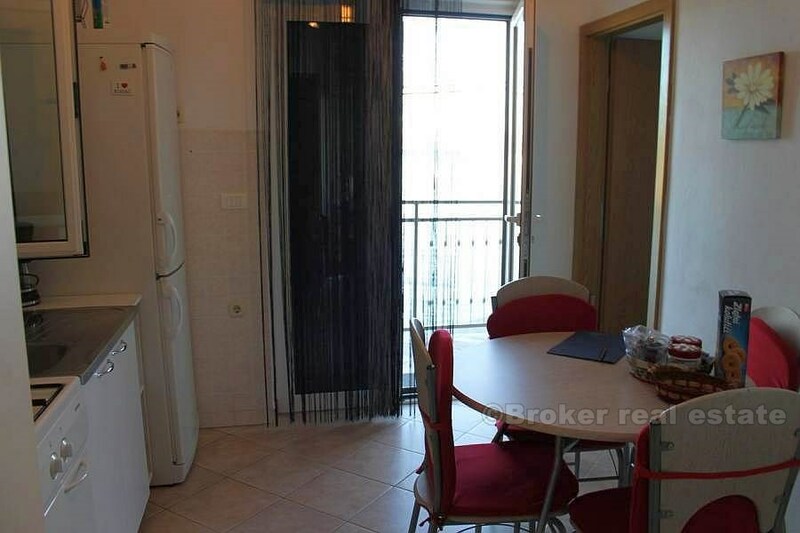 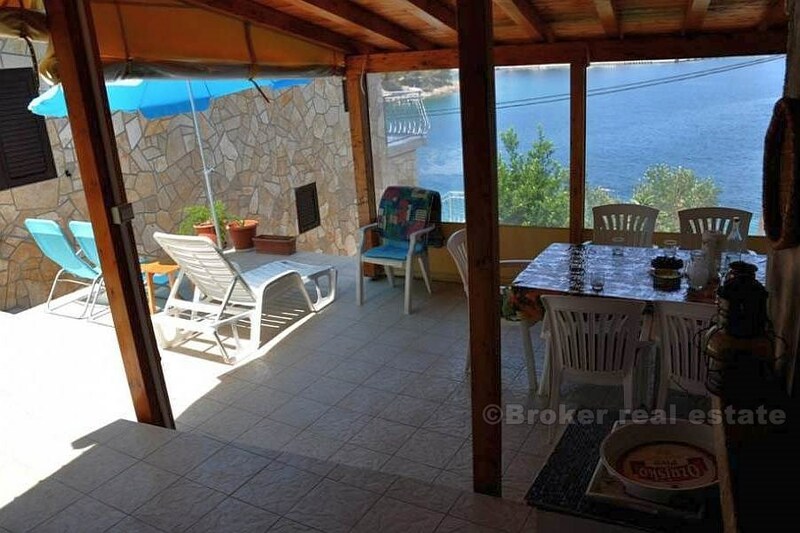 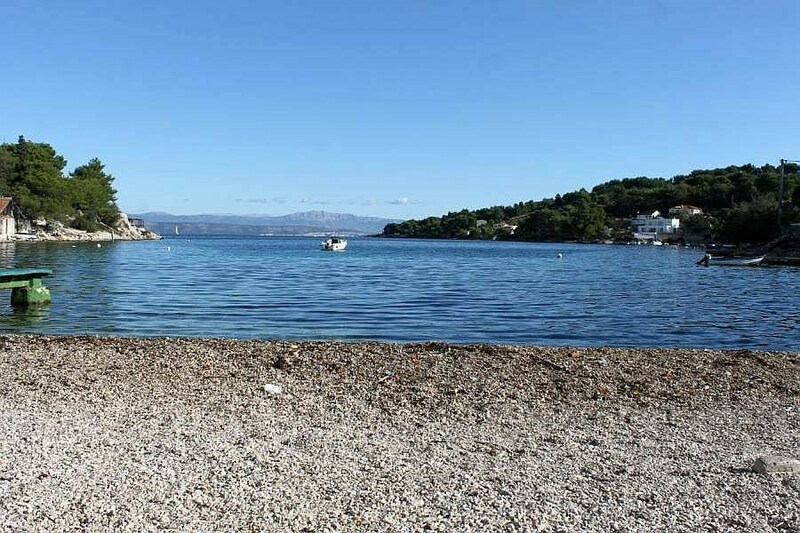 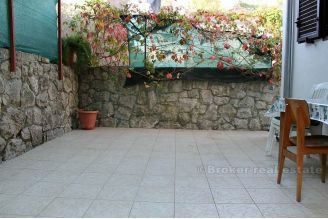 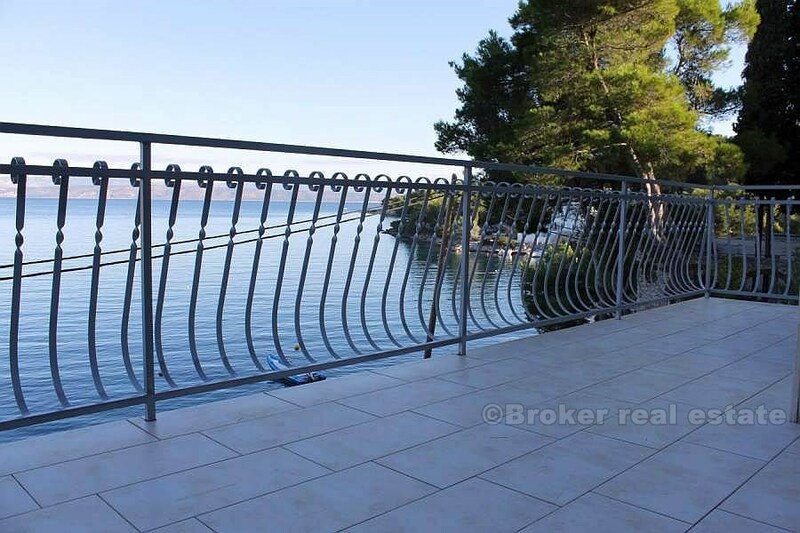 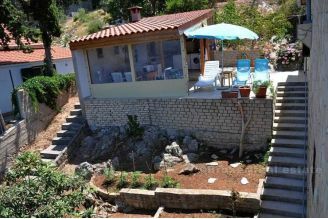 Detached house, 143 m2 of living space, located on the island of Solta in the first row by the sea, on two floors, with garage and private boat mooring in front of the house. 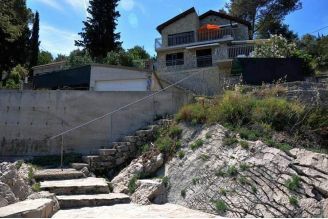 The house consists of ground floor and first floor, connected by external stairs. 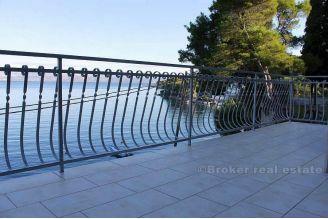 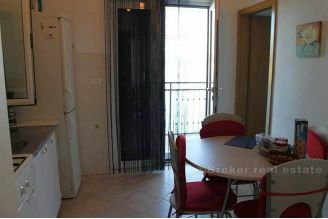 On the ground floor there is a two bedroom apartment with kitchen and bathroom, and a spacious terrace with great sea view. On the first floor is a spacious two-room apartment of 83 m2, with two bathrooms, kitchen and large living room with balcony access. In addition, on the upper floor (behind the house) there is another cozy intimate terrace, and an interesting summer kitchen with large barbecue and dining space. In the basement there are garage, two parking spaces, and additional space for boat. In the sea there is an arranged plateau with a berth for the boat (cca 10 m). 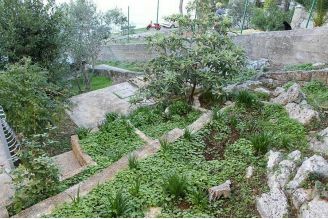 On the side of the house there is a maintained garden. 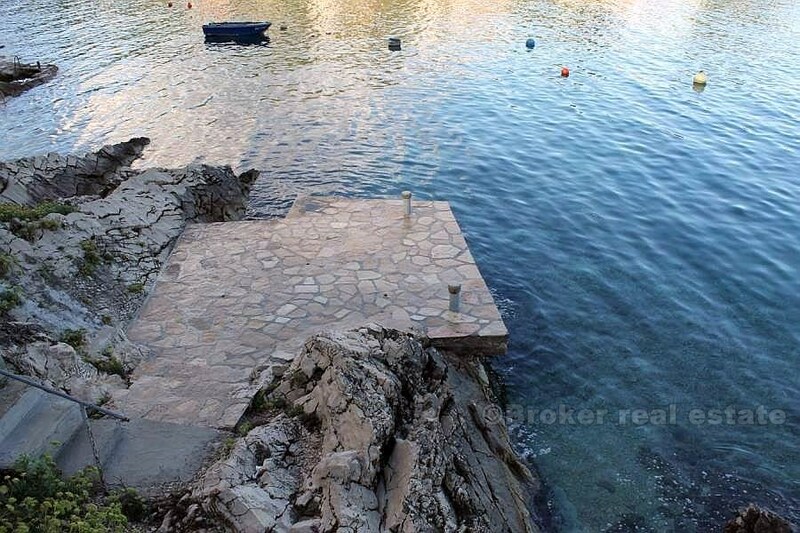 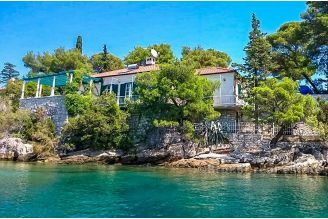 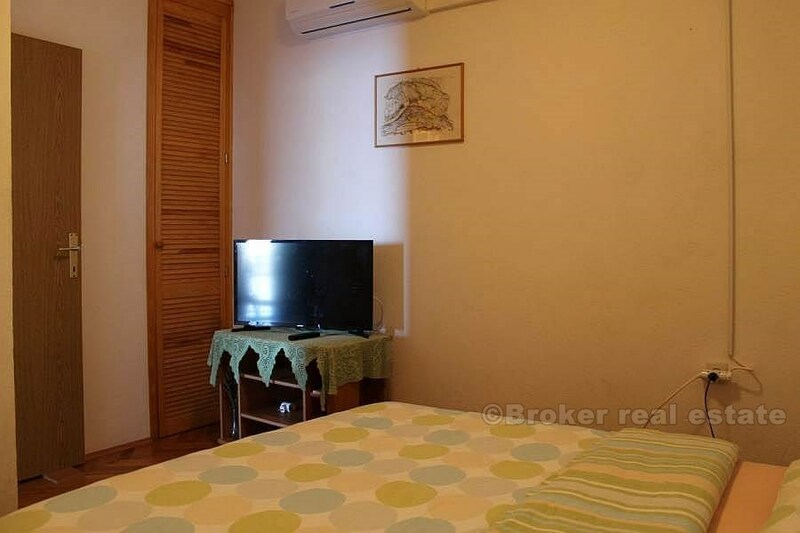 This house is located on a beautiful location in a quiet cove on the island of Solta, close to all the amenities necessary for living and near the nice pebble beach.